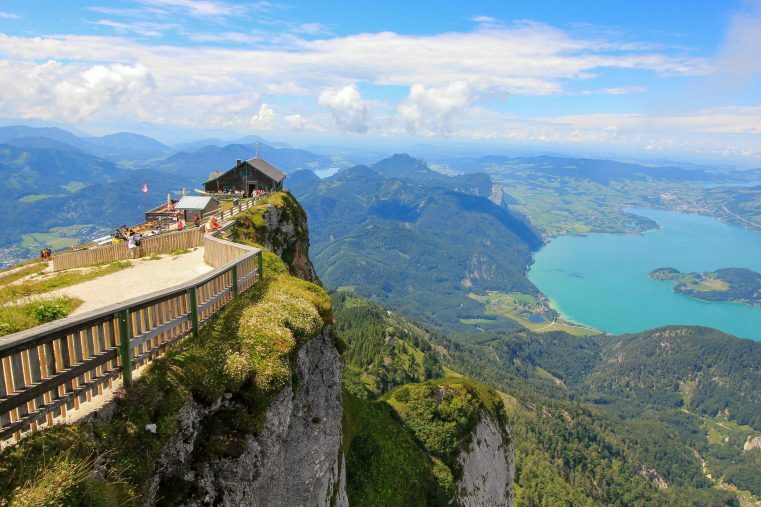 The Wolfgangsee in Austria also named Lake Wolfgang is truly beautiful and one of the best places to visit in Austria: Impressive landscapes at the shore of the world-famous Schafberg, crystal clear lakes, plenty of culture and history. 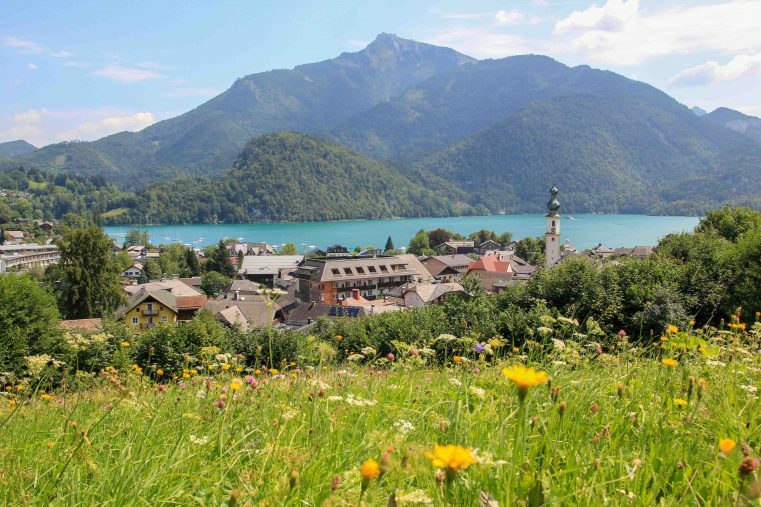 Whether hiking, bicycling or water sports, the Lake Wolfgangsee is also a real paradise for nature lovers. 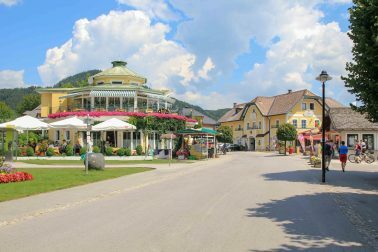 Above all, the most popular hotel in town is the hotel “Im Weissen Rössl” which is well known from the operetta “At the White Horse Inn“. 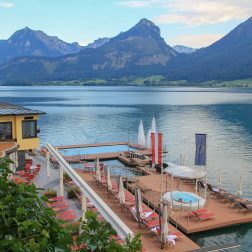 The hotel is located at the shore of the lake Wolfgang and so it is really splendid and offers gorgeous views of the lake and mountains. All the scenery is like out of a fairy tale and staying at that place felt a bit like time travel – for more than 500 years, guest have been welcomed at that gorgeous hotel. Absolutely fantastic is the legendary heated swimming pool which is floating in the lake. Whether it is winter or summer, the heated 30° pool invites for a pleasant swim! Another thing that made the “At the White Horse Inn” experience outstanding is the wonderful breakfast with view of the lake. The hotel is a mix of traditional and modern, full of character and history and we really enjoyed our stay there. -> Check here for prices and more information. On top, the service was exceptionally friendly and welcoming from the minute we entered to the moment we left the hotel. 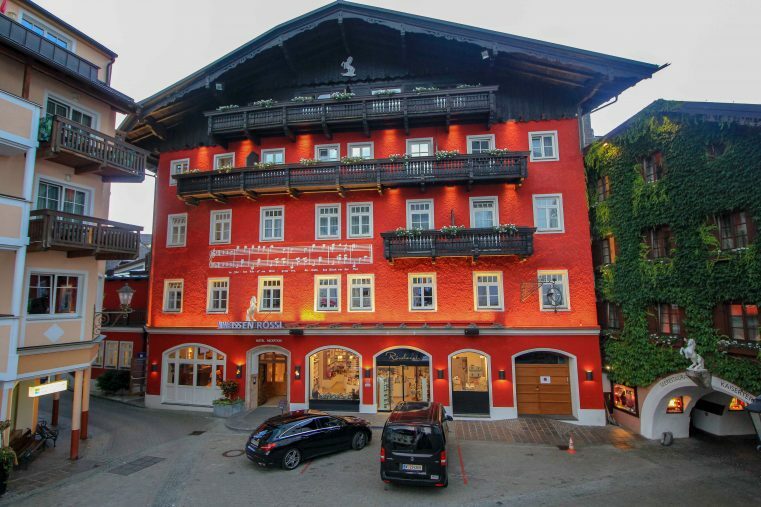 For sure this hotel is one of the best places to stay at Wolfgangsee in Austria! -> Check here for prices and more informations. Lake Wolfgangsee is named after the famous village St. Wolfgang, a pilgrimage place dated back to the middle ages. 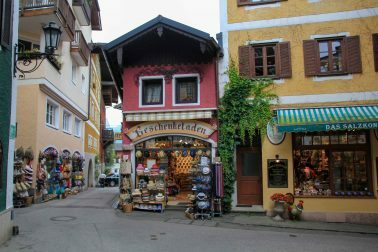 The picturesque village with its alpine colorful houses and the historic hotels such as the “Im Weissen Rössl am Wolfgangsee” is surely one of the best places to visit in Austria. While strolling around you can see plenty of traditional shops offering unique local products. If you need a break, just relax in one of the lovely cafés and enjoy the unique atmosphere! From the Kalvarienberg you are going the have a phenomenal view over the lake, the surrounding mountains and down to St. Wolfgang. 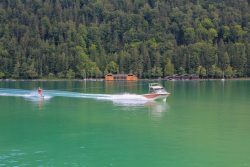 Doing a boat ride at Wolfgangsee is not just a beautiful experience, it’s also a very useful way to get around between the main villages St Wolfgang, Strobl and St Gilgen. Just sit back, relax and enjoy the awesome scenery. 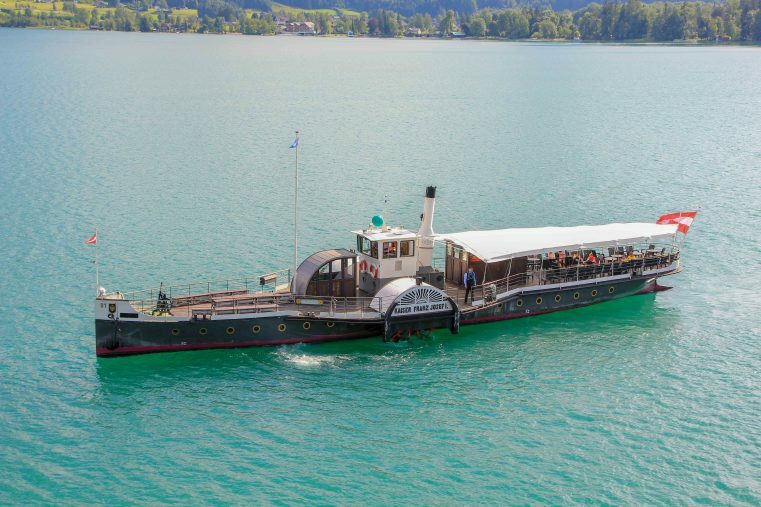 The fist steam-powered ship on Wolfgangsee was the paddle steamer Kaiser Franz Josef I and it was used for the first time in 1873. For a time travel experience you should take a boat cruise with this ancient steamer. 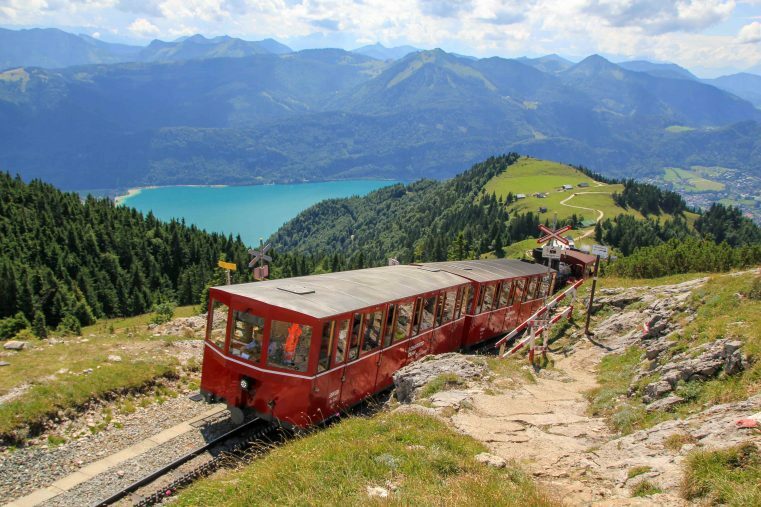 Driving with the red colored Schafbergbahn, a cog railway, up to the Schafberg is one of the best things to do while you are around the Wolfgangsee area! The views on the way up the mountain and from the top are unbeatable – a mountain hut built next to the sheer rock walls, turquoise glittering lakes and mountain scenery as far as the eye can see. The cog railway takes you up to 1734 meters, so make sure you bring warm clothes with you. 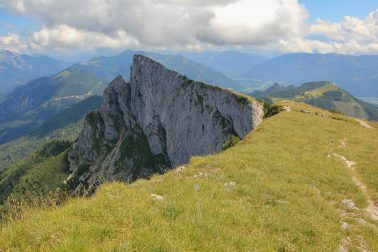 If you are up for some hiking we recommend using the paths leading to the summit cross and the Himmelspforte. 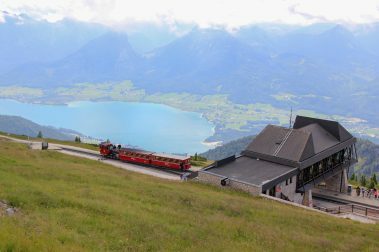 Also you have the possibility to walk back down from the Schafbergspitze to the Schafbergalm (1 hour) and continue by train down to the lake. Info: You can get yourself a combination ticket for the Schafbahn cog railway & Wolfgangsee boat ride! 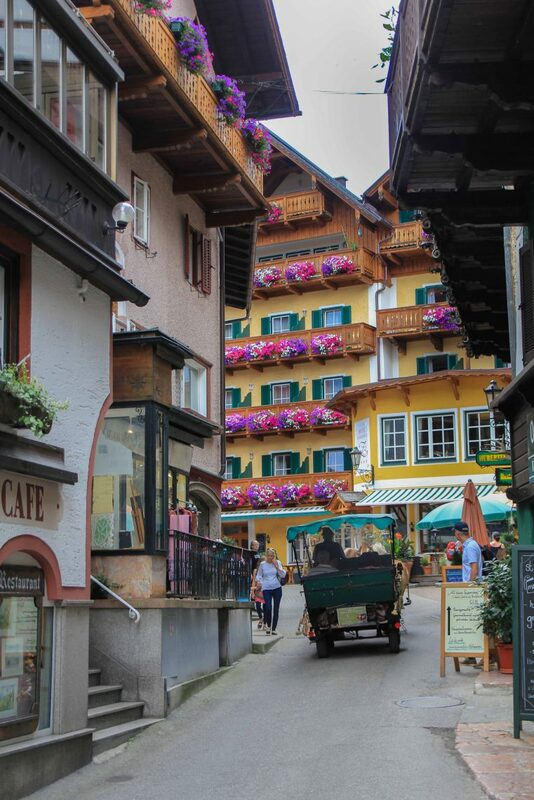 The beautiful small town St. Gilgen is located at the north-western part of the lake Wolfgangsee and is also known as “The Mozart town on the Wolfgangsee” (The grandfather of W. A. Mozart and Mozarts mother had been living in St. Gilgen). Best you take a pleasant walk around and enjoy the ambiance of the village. 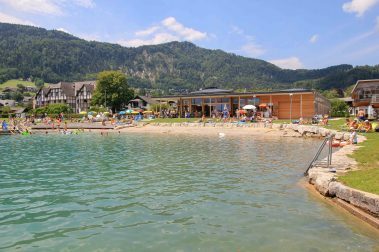 In summer you can also bring your bathing clothes – sure you are going to love the laid back atmosphere on the lake lido! 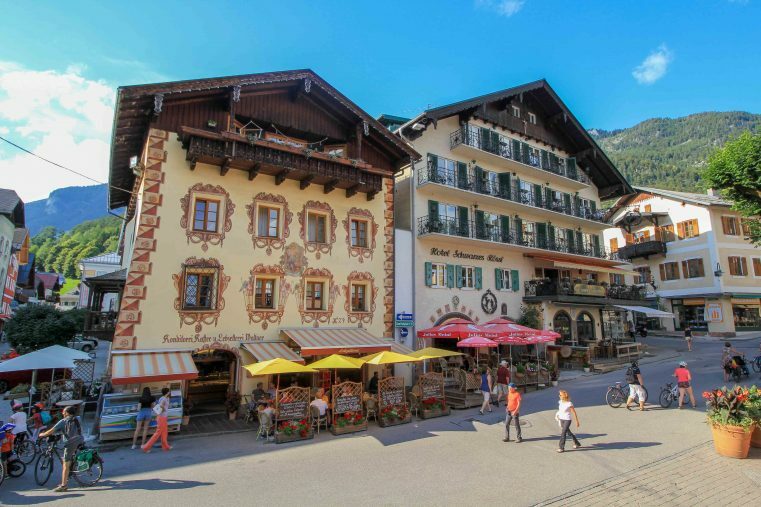 St. Gilgen is as well-known for the picturesque Ochsenkreuz nearby and also the 12-Horn cable car departs from the village center. 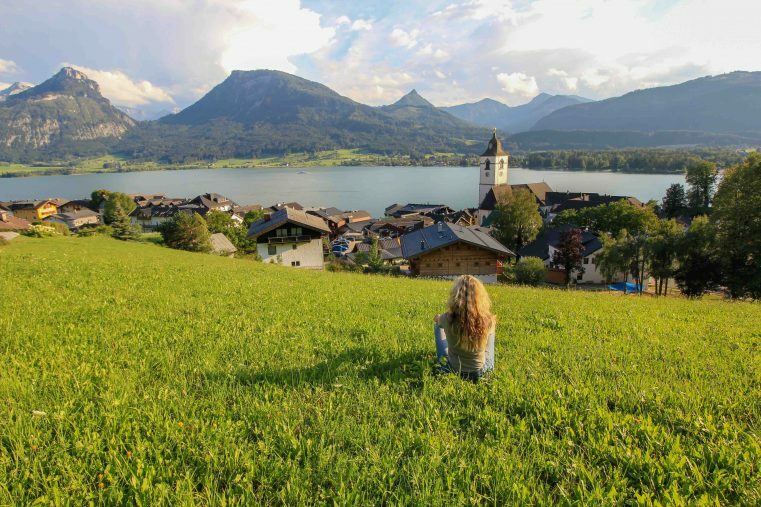 And for all fans of the popular movie “The Sound of Music”: St. Gilgen at the Wolfgangsee was in the opening scenes of the Sound of Music. 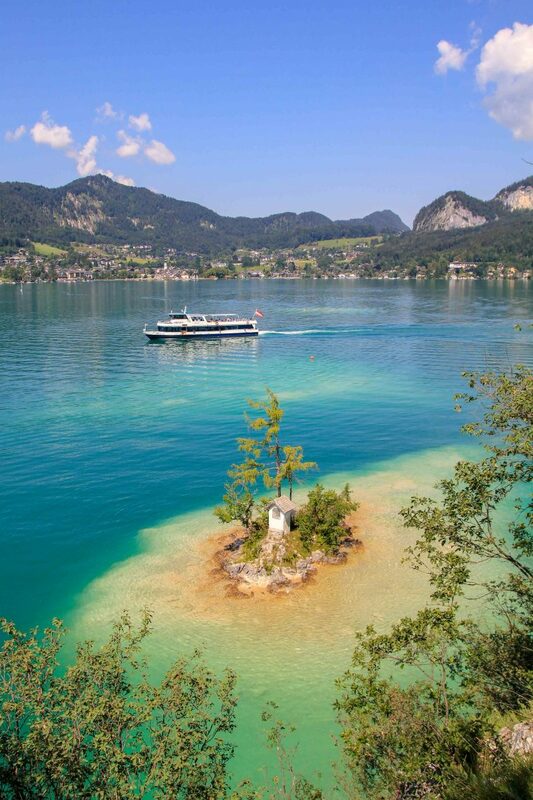 The iconic Ochsenkreuz “ox cross” is on a small island in Lake Wolfgangsee, near St. Gilgen, and probably one of the most breath-taking spots at the lake. At that part the water is crystal clear with Caribbean colours and from the hiking path you are going to have a wonderful view down to the cross. The shrine on the picturesque island tells the legend of a butcher and his ox. 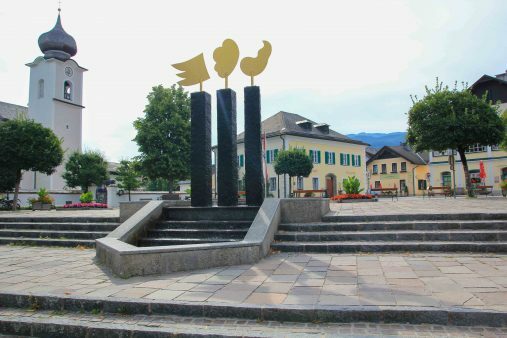 The Ochsenkreuz is reachable by a short 15-20 minutes walk from the traditional wooden Hotel Fürberg, which is situated right on the shore of Lake Wolfgang. The 12-Horn is a cable car that takes you from St. Gilgen up to the 12-Horn. This mountain excursion is well known for its wonderful panorama walks. Just make sure you have good weather, if it’s too windy the cable car will be closed. 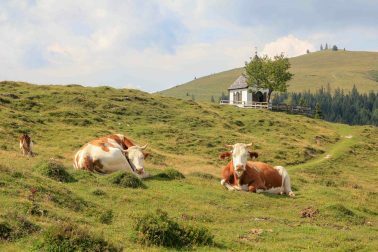 The Postalm is Europe’s second largest high plateau and with its beautiful alpine huts, native charm and flair one of our favorite hiking spots around Wolfgangsee. 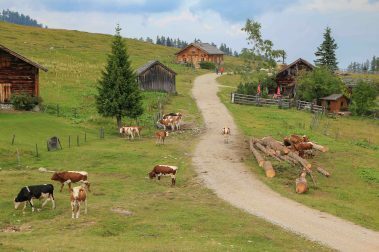 Many trails winding through this area and hiking near the cows and the horses excites both young and old. We took the yellow trail Nr. 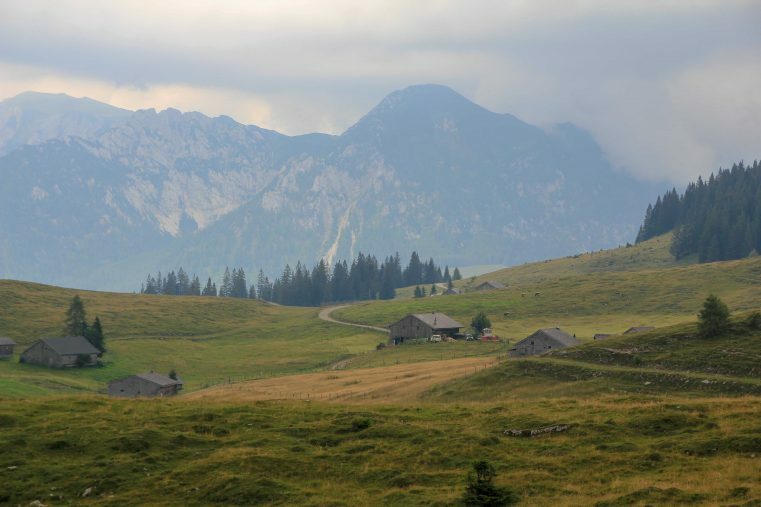 R3 “Wiesler- und Thoralm-Rundweg” which passes the Postalmkapelle and offers a fabulous mountainous scenery with numerous picturesque alpine chalets for a quick stop. The walking distance is around 2 hours and not too strenuous. 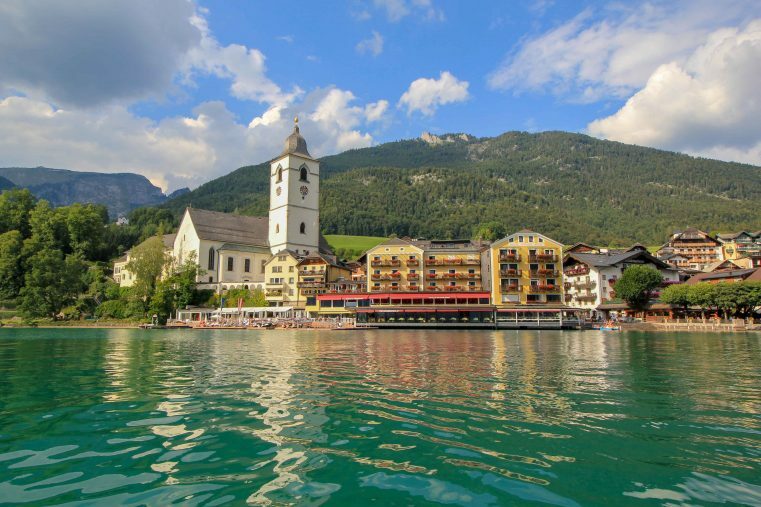 Strobl is a tranquil village at the southern side of the lake and is really popular for water skiing in summer. Around the town, you are going to find plenty of natural lidos and turquoise blue bathing places. 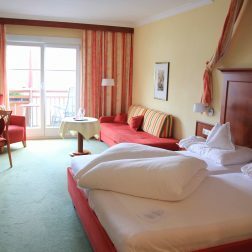 Actually Strobl is a lovely place to stay and if you are looking for something special, you should check out the Hotel Brandauers. From the terrace you will have amazing views over the lake Wolfgang. Lake Wolfgang offers the same quality as drinking water and with around 21-24° degrees in summer the lake is really popular for bathing. Around the lake you are going to find a great number of bathing spots. Some places are even for free, you just have to pay a parking fee. Bathing inside the lake is really pleasureable. 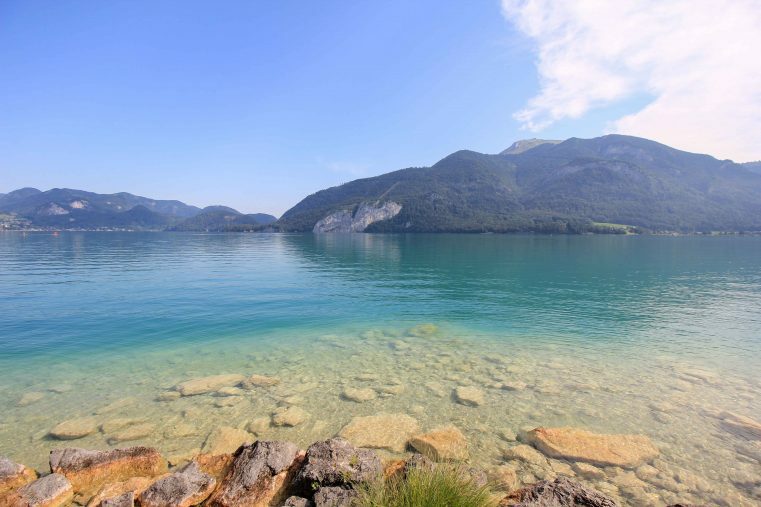 You stay in Salzburg and you also want to see the amazing Wolfgang Lake? 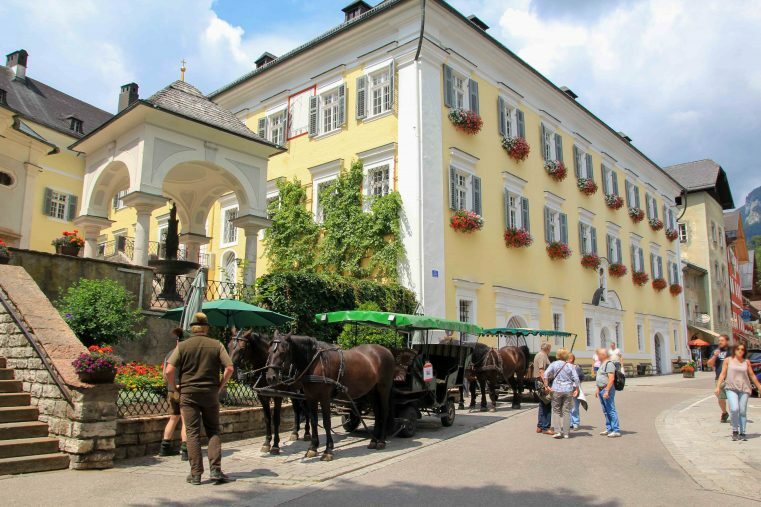 No problem, check out this private Tour from Salzburg to visit breathtaking lakes including Wolfgangsee and Mondsee. First of all, there are actually 3 main areas to stay around the Lake Wolfgang. All of them are really beautiful, so you can`t do any bad decision. 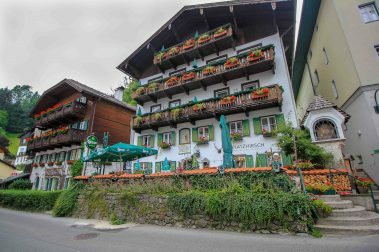 We loved our stay at the White Hourse Inn in St. Wolfgang, but anyway there are plenty of amazing traditional Austrian hotels around the lake. 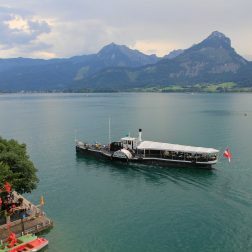 Living in Europe, the Wolfgangsee is, of course, the romantic epitome of Austria – referring to all the folk movies from the fifties and sixties. But those places are so iconic for a reason – and your post shows how beautiful that region is. Love your pictures! It’s all so pretty. I think one of my favorite things to do would be to jump into that heated pool with that amazing view. But simply walking around all these places would make my heart happy! I just love the Alps, the scenery and culture is just something else. We’ve yet to visit this region in Austria yet but have in Switzerland and loved it so much. It’s somewhere we will hopefully head to in the future. That hotel is ADORABLE. There’s certainly a lot to do in Wolfgang! The railway looks insane, how did you get those photos of the carriages. I would love to see the views from the top and that little island in the lake looks so cool. In the summer months it would be lovely to go swimming in the lake, I bet it is refreshing! Wow! 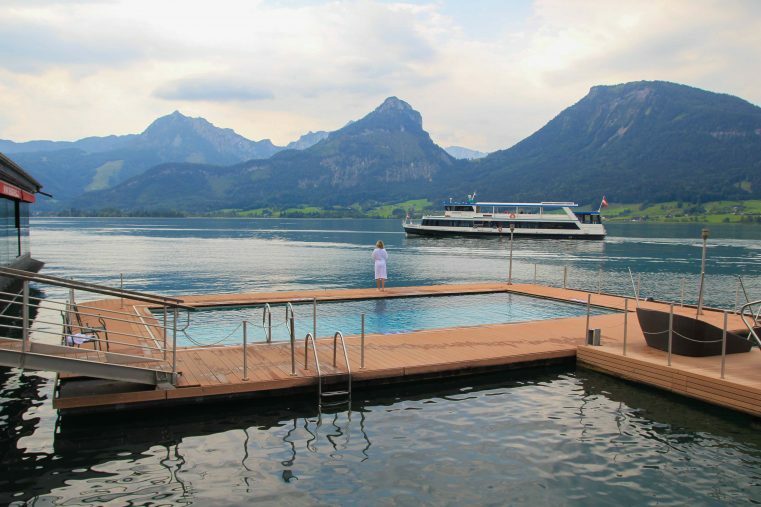 Swimming at Wolfgangsee looks like a bucket list opportunity for sure. I had no idea how much there was to do in Wolfgang. Thanks for sharing!